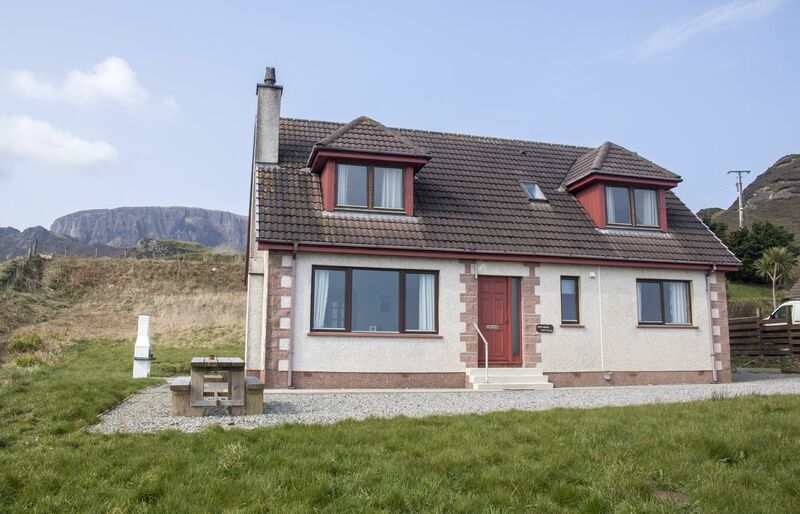 Quiraing Cottage, Digg is a spacious family home with magnificent views stretching over Staffin Bay and towards the Torridon mountains. The Quiriang, a rock formation, can be seen behind the cottage and your eye can follow the Trotternish Ridge as it runs down the peninsula. Surrounded by crofts, Quiraing Cottage feels rural yet the township of Staffin, just 2 miles away, has a local grocery store, petrol station and a few cafe's. 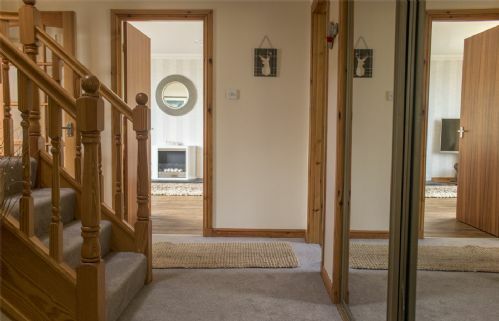 You enter the cottage through the entrance hall where there is a downstairs cloakroom with W.C. and wash hand basin. The spacious hallway has ample storage for jackets, shoes and luggage. The lounge and dining rooms are connected by double glass doors, creating a more spacious room when opened. The lounge has a three seater sofa and two arm chairs. Additional arm chairs can be found in the bedrooms. 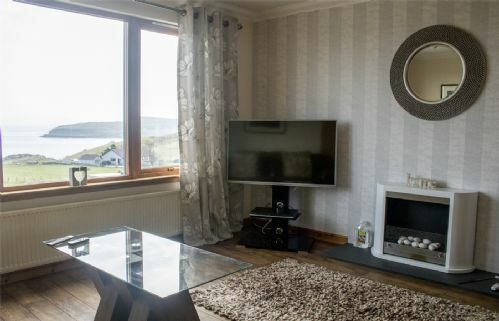 The TV has Freeview and there is a DVD player with a selection of DVD's to watch. There is an ethanol fireplace creating a cosy atmosphere on cooler nights. The dining room has a dining table and six chairs plus a stereo. A further two chairs can be brought in from other rooms. Patio doors lead from the dining room onto the patio and BBQ area from which you can savour the views! 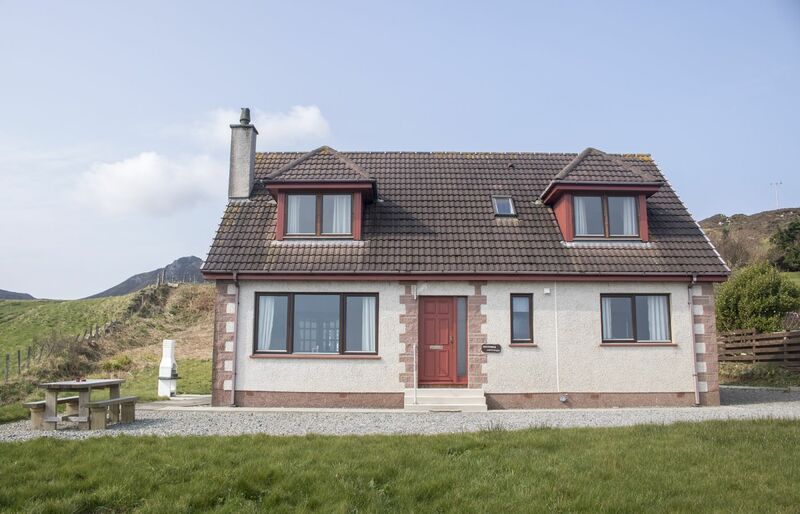 The kitchen is well equipped with an electric range, microwave, dishwasher, fridge freezer and a slow cooker. There is also a table with four chairs and the utility room leads off. This contains the washing machine and clothes horse. The master bedroom is on the ground floor. It comprises of a double bed, bedside cabinets, chest of drawers, mirrored wardrobes and a shower ensuite. Upstairs there are a further three bedrooms and the main bathroom. There are two double bedrooms and a twin bedroom, each with bedside cabinets, wardrobes and a mirror. The bathroom has a bath with shower over, W.C. and wash hand basin. Outside there is parking for up to three vehicles on the driveway. 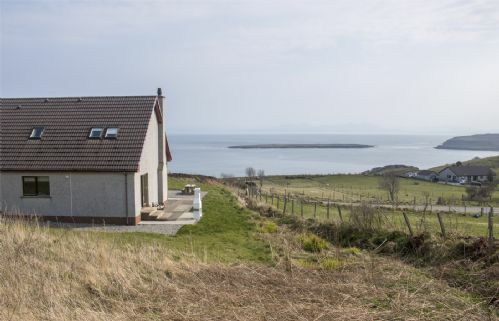 The patio area is to the side and overlooks Staffin Bay and the Trotternish Ridge. There is a picnic table to relax and watch the world go by from! 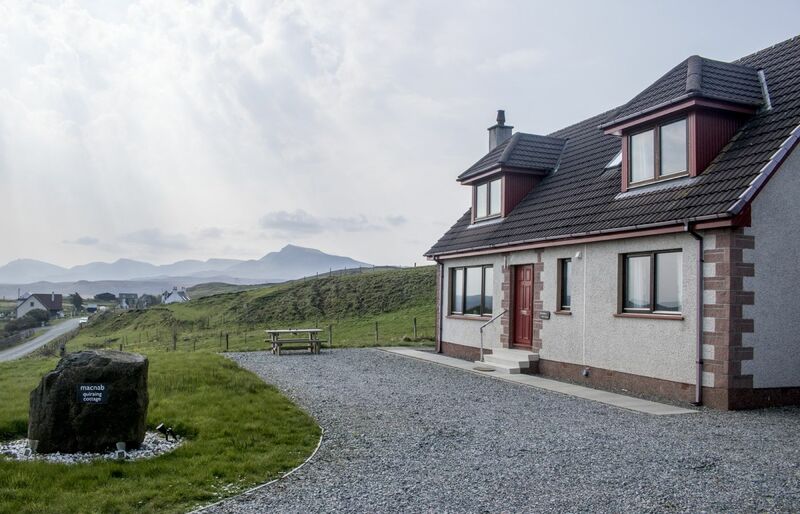 Quiraing Cottage has WiFi throughout the property.